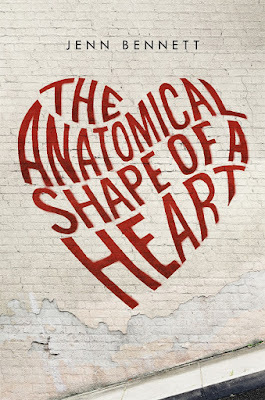 The Anatomical Shape of a Heart is hands down one of the best contemporaries that I have read. I actually read this book coming off of saying “I need a break from contemporaries”. Everything about this book is perfect. 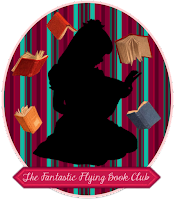 I loved the characters, the pacing and the plot. It all fits together so well. 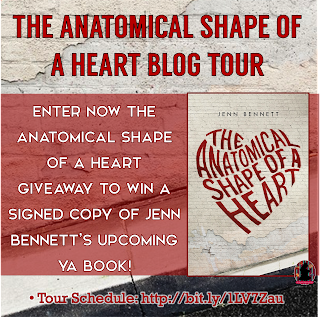 I want to pick up Jenn Bennett’s other books now. Beatrix, or Bex, is such a cool girl. She is someone who doesn’t necessarily have the greatest life. Her family consists of her mom and brother after their dad left them. Her bedroom is the dining room but she is not a woes is me girl. She is a I’m going to find a way girl. Another character describes her as a Lake, calm and still. Which is exactly what she is. I’m not sure if it’s because she loves to draw anatomically correct organs but she has a way of dissecting things in her mind. Looking at them with that scientific eye. Jack, Jackson, is the nobel bad boy with the not so bad background. Everything that we find out about Jack explains his actions. He makes a great counterpart for Bex, where she is creative/scientific he is more creative/adventurous. I don’t want to give too much away about his backstory just because finding things out about him is a great part of reading the book. Their love story is the best. The best from the minute they meet on the Owl. I just want to hold that moment forever and it will always be my favorite meeting in a book. Plus I admit the fact that the Night bus is called the Owl makes me think of Harry Potter. My best friend lives in San Francisco and now I want to convince her to take the Owl. She will, I’m sure, think there is something wrong with me. I love that their relationship has sort of a role reversal. Not so much in life but in the way we see it in books. It’s hard to explain until you read but it was nice to see Bex have the upper hand in some things. One of the things that I love and wish that we would see more is that the characters don’t spend the book trying to get together. They go into things together and are able to be support for each other. The drama isn’t necessarily them but the things that happen around them and how fits together with them. There is also a side point about divorce that I like how it was portrayed. Simply because even parents with good intentions can have selfish motivations when they themselves are hurt. Pacing is absolutely perfect. Sometimes with a contemporary I can get a little bored. Just because it’s hard to have stuff happening all the time. There is no magic or monsters attacking you every other second. 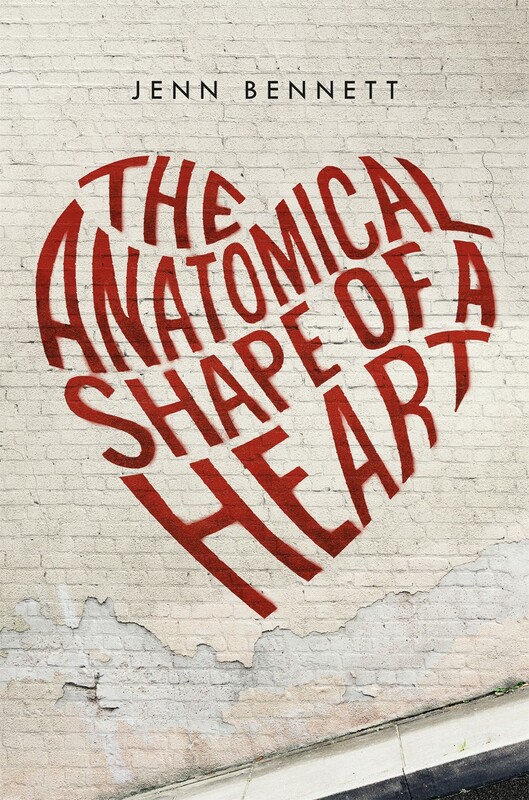 The Anatomical Shape of a Heart manages to keep every second interesting always something going on. It made me want to keep reading. This a book you could easily finish in one setting. Simply stated this is one of my favorite books of the year. So yes read it. Read it as soon as you can. 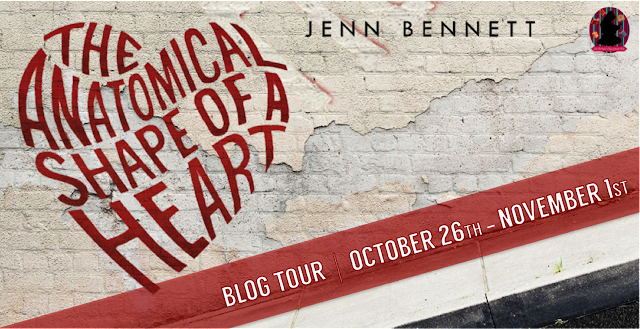 Jenn Bennett is an artist and RITA-nominated author of the Arcadia Bell urban fantasy series (Kindling the Moon) and the Roaring Twenties romance series, including Bitter Spirits, which was chosen as one of Publishers Weekly Best Books of 2014 and winner of RT Book Reviews Paranormal Romance Book of the Year, and Grave Phantoms—which was awarded RT's May Seal of Excellence for 2015. 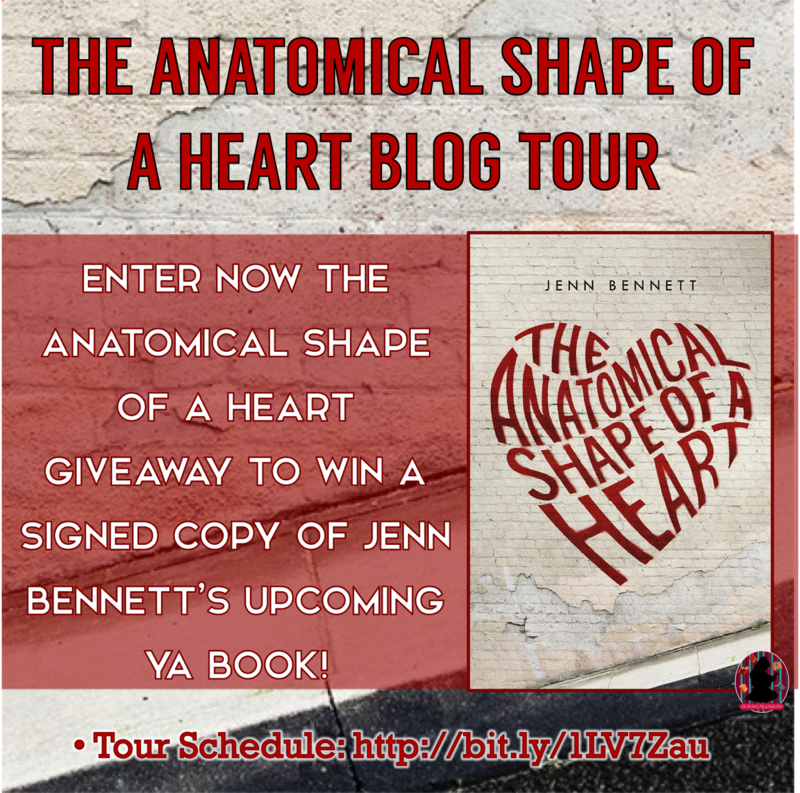 The Anatomical Shape of a Heart, (akaNight Owls in the U.K.) is her first YA contemporary romance. She lives near Atlanta with one husband and two evil pugs. Visit her at www.jennbennett.net.